BONUS SmartPoints - 5 SmartPoints for every dollar you spend that you can use to purchase other award-winning curricula through the Co-op. 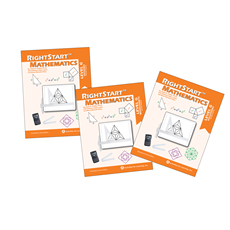 If you are going to purchase RightStart Mathematics anyway, why not the best deal anywhere? 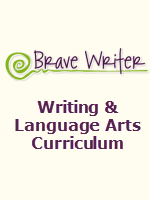 Do you have visual, kinesthetic, or auditory learner? 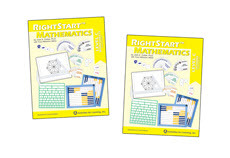 RightStart Mathematics is a popular hands-on and visual program for early math learners that stresses understanding math concepts and problem solving throughout the curriculum. 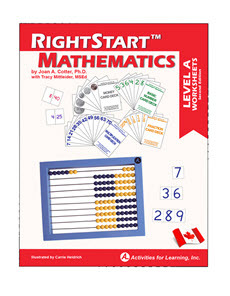 Sold in kits with lots of manipulatives, the heart of the RightStart program is the AL Abacus, which is grouped in fives and tens for quick recognition of quantities. Children develop visual strategies as they use this and other manipulatives. The back side of the AL Abacus teachers place value to the thousands. Additional practice is provided with math card games. 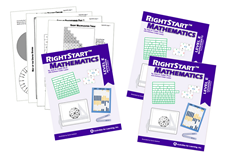 Is RightStart Mathematics Right For You? What Makes RightStart Different identifies the basic premise underlying the RightStart curriculum. AL Abacus Basics explains about how the AL Abacus is a hands-on learning tool and also how to teach children how to use it correctly. Math and the Young Child explains how you can teach children, at a young age, so they will have a life long love of math. 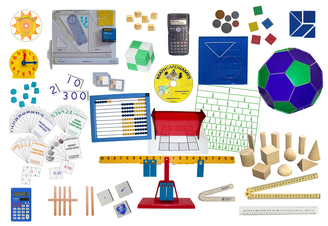 It also explains that visualization is key to helping children understand mathematics. The Research Summary, is a helpful guide to teachers, teaching the RightStart Mathematics in a classroom. The kits are sold for different "Levels", not grades. Take the Starting Level Questionnaire to determine the right level for your child. Play with the online Interactive Al Abacus to get a feel for how this manipulative works. Read about Awards and Reviews. 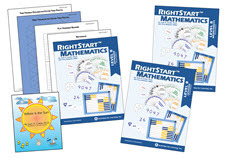 Visit the RightStart Mathematics website for more information. Fulfillment: Within minutes of you confirming your order, the Co-op will issue you your SmartPoints bonus, and forward your order to Activities For Learning, who will ship your order directly to you from their warehouse within 2 business days. Returns/Cancellations: The Co-op will refund your purchase, excluding shipping expense, when you return the item(s) within sixty days from the date of receipt. Items returned must be in same condition as when purchased. Removing wrapping from the items is acceptable. There is a 20% restocking fee if returned items are not in new condition. Submit your return request at our order support page. You will receive return instructions via email and/or phone. 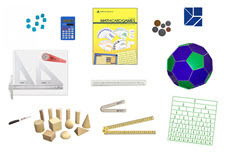 All the manipulatives for the Second Edition are right here. 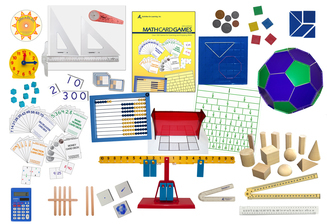 This kit includes the manipulatives needed for every level. 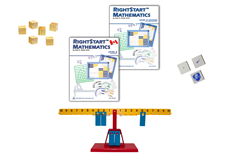 Get the RS2 Math Set with your Second Edition Book Bundle, then all you need for the following years are the next Book Bundle because you already have all the manipulatives. 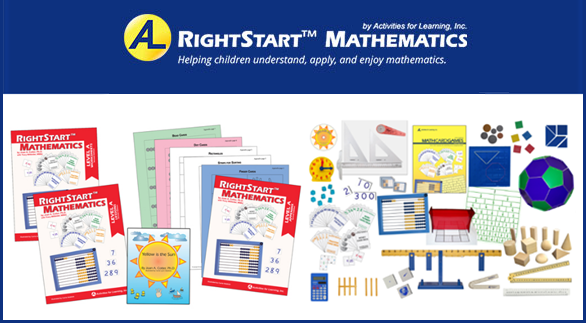 You are ready to learn math the RightStart way! Manuals and worksheets need to be purchased separately or can be purchased as a Book Bundle - see products below. 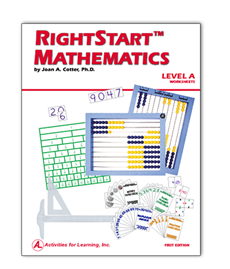 The new revised beginning level lessons will build a firm foundation with number sense through quantity recognition and visualization strategies using the AL Abacus. RS2 Level A helps the child understand quantities based around 5s and 10s. This level includes addition and subtraction to 10, place value to the hundreds, and some basic geometry and measurement. Money and clocks are introduced. Problem solving is emphasized. Please see below on this order form to purchase these items for additional students. 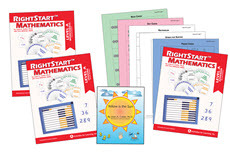 NOTE: You will need to purchase the RS2 Math Set (product above) to use with the curriculum bundle. The new Level B lessons continue to build a strong foundation with number sense through quantity recognition and mental strategies by grouping in 5s and 10s. RS2 Level B includes addition and subtraction facts to 18, place value to the thousands, geometry, measurement, time, money, and basic fractions. 4-digit addition and 2-digit mental addition is also incorporated. Problem solving and place value are emphasized throughout. Please see the products below on this order form to purchase these items for additional students. The new RS2 Level C lesson continues to build on known addition and subtraction facts, works with 4-digit addition and subtraction and 2-digit mental calculations. Other topics include area and perimeter, money, time, and basic fractions. They also work with drawing tools to explore geometric designs. Review lessons are included for a child beginning with the RightStart program. Problem solving is emphasized. Please see the products below to purchase these items for additional students. The second edition RS2 Level D works on the meaning and properties of multiplication and division, along with the basic facts. Other topics include numbers to millions, area and measurement in both the metric and U.S. customary systems, fractions, and graphing. The children continue work in geometry and angles using drawing tools. Problem solving with all four operations is emphasized. Review lessons are included for a child beginning with the RightStart program. 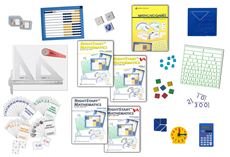 The RS2 Level E Book Bundle comes with the Lessons, Worksheets and Appendix pages. It works with multiplication of multi-digit numbers by two-digits, division of multi-digits by a single digit, and equivalent and mixed number fractions. It also works with prime numbers, factors, decimals to the hundredths, and percents. Algebraic concepts are introduced and problem solving is emphasized throughout. In geometry they study classification of triangles and polygons, symmetry, reflections, angle measurement, and work with 3-dimensional figures. Measurement, elapsed time, distance, money and capacity problems are explored. 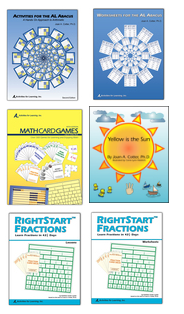 The RS2 Level F Book Bundle comes with the Lessons, Worksheets and Appendix pages. It works with multiplication of multi-digit numbers by two-digits, division of multi-digits by a single digit, and equivalent and mixed number fractions. It also works with prime numbers, factors, decimals to the hundredths, and percents. Algebraic concepts are introduced and problem solving is emphasized throughout. In geometry they study classification of triangles and polygons, symmetry, reflections, angle measurement, and work with 3-dimensional figures. Measurement, elapsed time, distance, money and capacity problems are explored. The RS2 Level G Book Bundle comes with the Lessons, Worksheets and Appendix pages. It works with a drawing board, T-square, triangles, compass, and goniometer, fractions, area, ratios, angles, Pythagorean theorem, and square roots. It also works with circles, pi, arcs, along with reflections, rotations, and symmetry are taught while practicing arithmetic, fractions, and decimals. Some algebraic concepts are introduced. The history of mathematics is woven throughout the lessons. Daily card games are included in the lessons. These consumable worksheets are designed for one child's use. 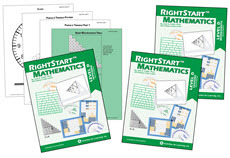 If you are currently using the first edition and want to change to the second edition, you will need to purchase a Bridge Kit to "bridge" the difference between your current materials and the RS2 Math Set. Get the appropriate Bridge Kit, add in your Book Bundle, and you're ready to go! Note: Manuals and worksheets need to be purchased separately or can be purchased as a Book Bundle (see "Book Bundles" above). Starter Kits and Add-On Kits help you get all the materials and books needed. Being with the Starter Kit which will give you the materials and books needed. The next level will need new books and a few more materials which are available with the Add-On Kits (see "RS1 Add-On Kits" below). Worksheets have a copyright for a single childs use, so additional worksheets are needed for multiple children. 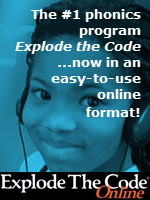 Electronic worksheets, with a copyright for a single familys use, are also available. Starter Kits and Add-On Kits help you get all the materials and books needed. Being with the Starter Kit which will give you the materials and books needed (see "RS1 Starter Kits" above). The next level will need new books and a few more materials which are available with the Add-On Kits. Worksheets have a copyright for a single childs use, so additional worksheets are needed for multiple children. 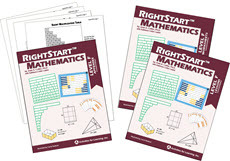 Worksheets to coordinate with the RightStart Mathematics. Worksheet include the Game Log to help you track card games played. Interested in the RightStart approach, but dont need the full curriculum? Purchase tutoring materials and games to reinforce the facts! 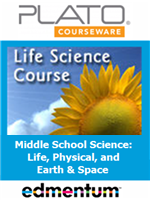 Purchase individual materials and games to reinforce the facts!